Timeless. Referential. Accurate. 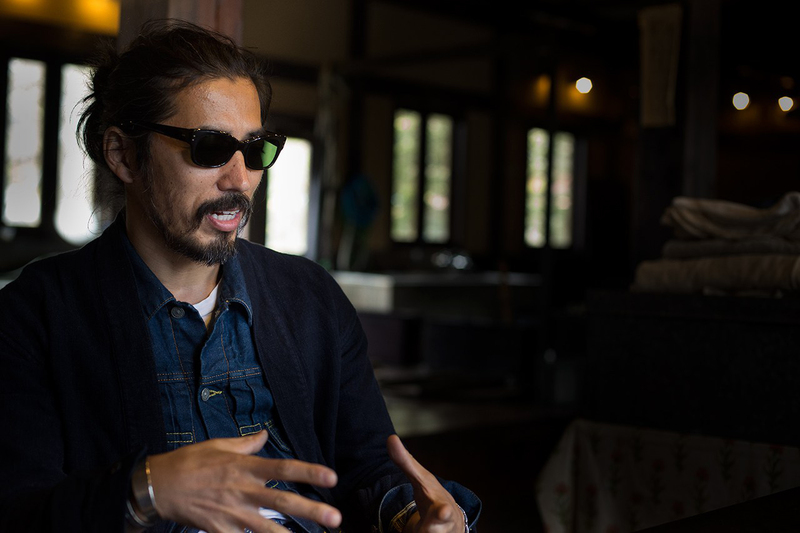 These are all traits possessed by visvim that has given the brand its 14 years of continued success and has given Creative director Hiroki Nakamura the spotlight he holds in the realm of streetwear. From the humble beginnings in Harajuku, Tokyo to its global presence and cult-like following of fans, Nakamura always stayed true to the fact that above all else, quality is key. With strong collections every season in “dissertation”-driven titles that speak more like a textbook than anything, visvim stands strong and boldly represents a sector of the market that believes in all things Americana. While some may argue the pricing is simply too high, Nakamura reiterates that cost must take into consideration the durability and longevity inherent in the construction and craftsmanship -- oftentimes old world-esque -- to truly understand. The evidence is there; his products utilize handmade coloring and construction, machines tuned and serviced on a regular basis to avoid advanced robotics, materials exotically acquired from the farthest corners of the world for uncompromising quality, and much more. But just because of these factors does not mean Hiroki Nakamura is not in the business of innovating. The label’s highlight piece, the FBT moccasin-sneaker hybrid, was recently showcased with an advanced upgrade in the shape of a long-lasting Vibram sole, more rigid ergonomics in its midsole, a firmer polyurethane heel stabilizer and more. In-line product offerings that remain uncompromising in its quality, the traditional elements adored by fans stay present, and the undying truth that visvim is more than just a brand with a slogan help to make Hiroki Nakamura and his creations worthy of a spot within our HYPEBEAST Hundred.